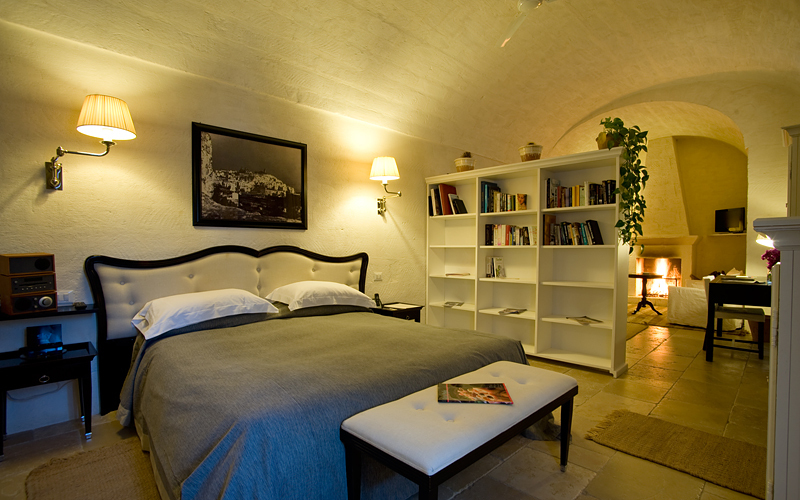 Our featured hotel of the month is Masseria Torre Maizza, a former Puglian watch tower and working farm converted into a luxury 5 star hotel. We love the combination of traditional character and modern luxury in such an idyllic setting surrounded by orchards and vineyards. 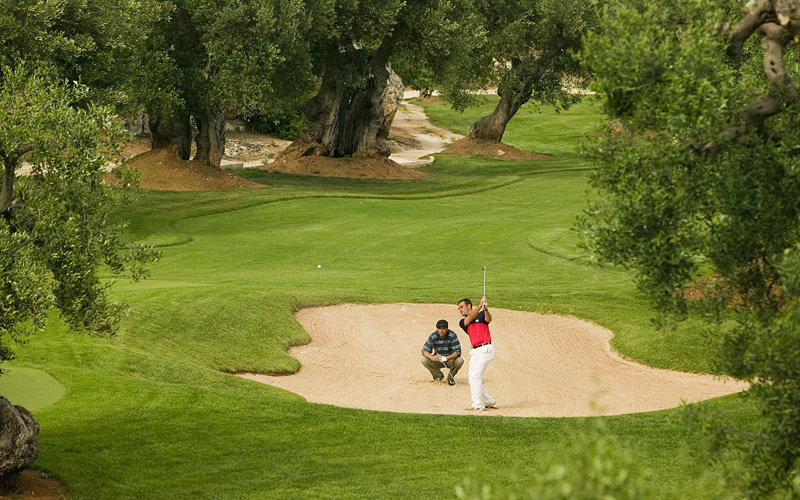 In addition the hotel has its own golf course set amongst ancient olive trees and the stunning Coccaro Beach Club. Torre Maizza is located in the middle of a large hillside estate overlooking the glistening Mediterranean sea which is just under a mile away. 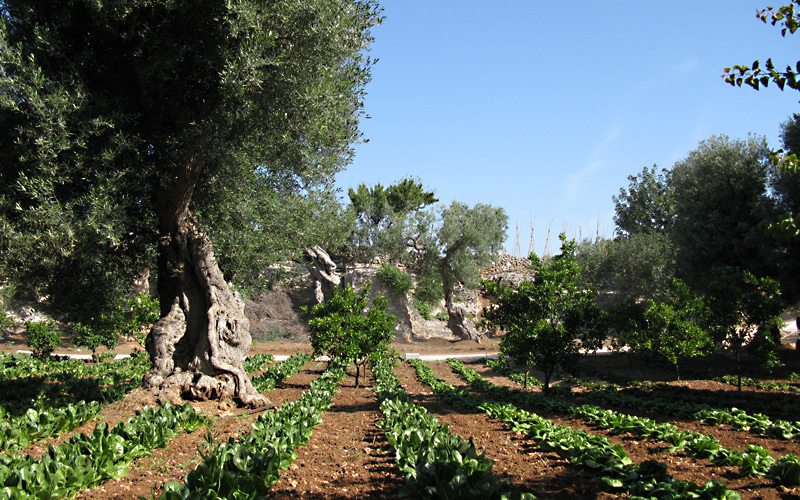 Surrounded by olive groves, vineyards, fields and crops, guests can enjoy scenic walks with the air is scented with heady myrtle and delicate jasmine. Alternatively play a round of golf or relax by the pool or the hotel’s private beach. Perhaps you might prefer a cooking lesson or yoga on the beach, with the gentle waves lapping the shore just a couple of feet away. This former garrison, formed part of an ancient defence line that crossed all Apulia, from Gargano promontory to “finibus terrae”, as Santa Maria di Leuca was once called. During the XVI century, Torre Maizza used to be a watchtower against the raids of Ottoman and Saracen Turks. Later on it became a working farm and a small village developed. You can still recognize the old Mill, the farm workers houses and the courtyards which were used to tend animals. Now Torre Maizza has been converted into a refined, luxury 5-star resort and the local traditional hospitality, which once was extended to pilgrims and Benedictine monks, is now offered to our guests. In the XVI century the cows’ stables were located where now there is the well-reputed restaurant, Ristorante delle Palme, with views across the hotel’s swimming pool, surrounded by the ancient columns and orange groves. The cuisine at the Masseria is creative but still regional, combining Puglian traditional dishes with new tastes and using products from our organic farm including vegetables, fruits, olive oil, almonds and figs. In addition we produce our own hams, mozzarella cheese and pasta. The farm also rears rabbits, geese, ducks, pheasant, chickens (ensuring fresh eggs for breakfast) and our boat fishes fresh fish and seafood. Our pastry chef produces a fine selection of local desserts and for breakfast, wonderful jams and freshly baked pastries. 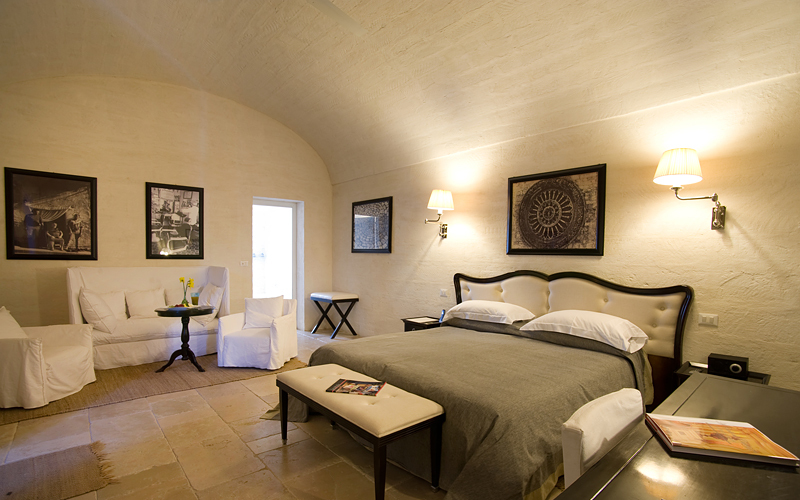 Room description: Typical farmhouse rooms with whitewashed lime stone walls, arched ceilings and traditional hand-painted furniture. 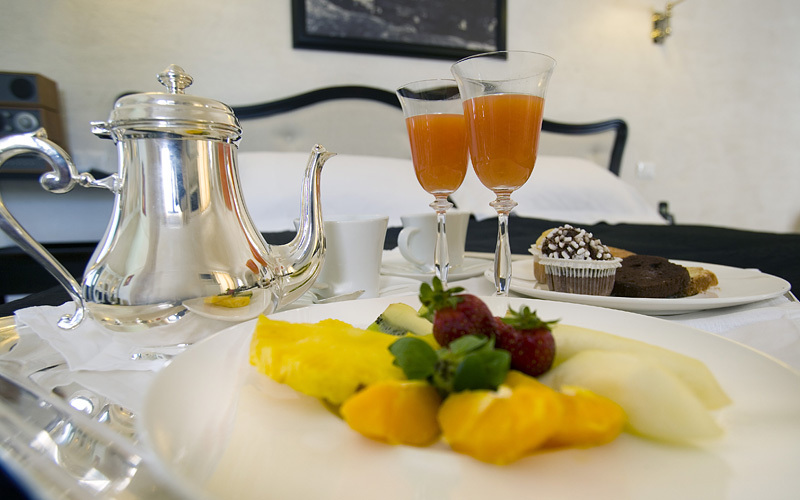 Suite description: Our suites combine ancient and genuine country values with the elegance of a modern resort, offering every possible comfort with dual Jacuzzi, terrace (overlooking olive groves to Mediterranean sea beyond) and private heated plunge pool. 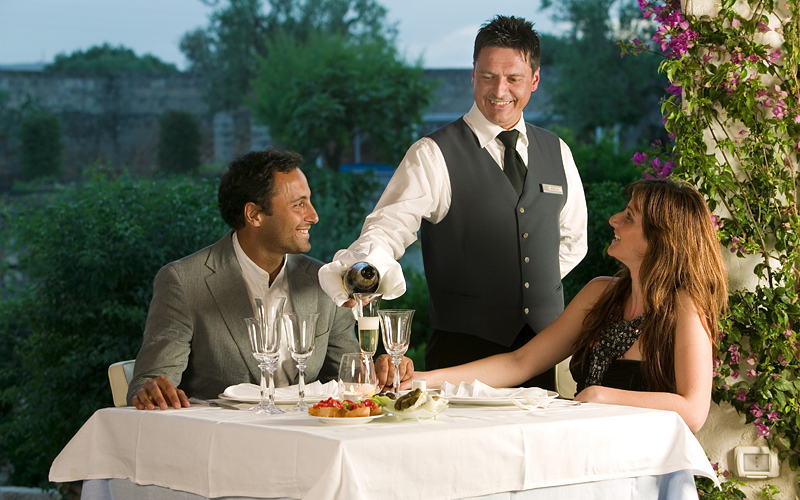 Hotel facilities: Spa, outdoor heated pool, restaurant, bar, 9 holes golf course, private sandy beach and Coccaro Beach Club with restaurant and Sushi bar, cooking school. With thanks to the Masseria Torre Maizza for providing the above information and photography, by invitation from Boutique Travel Blog. 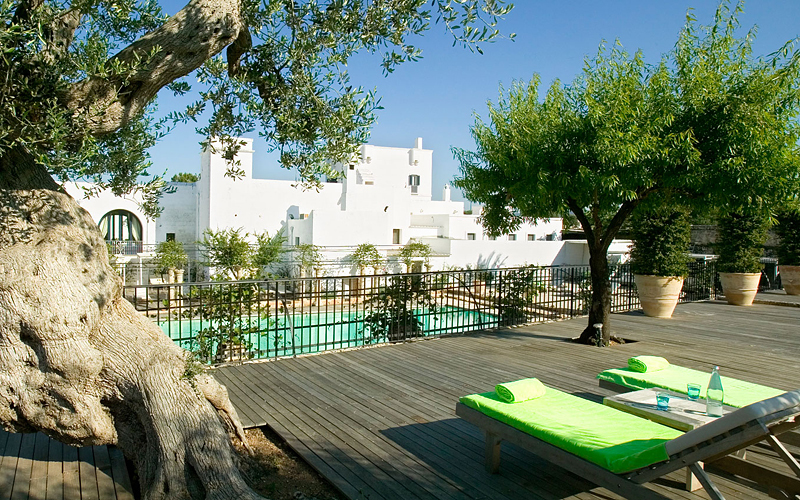 What a stunning property, I would love to visit when I go to Puglia in October….it would be hard to leave the property. The beach and beach club look great, and I love the look of the olive trees. There must be quite an aroma to the air when playing that golf course! This area of Italy is suddenly getting a lot of attention by bloggers and I think that is a great thing as it is an area that is away from mass market tourism and so there are some real gems. That accommodation looks exactly our cup of tea – laid back luxe, and quiet! Get me there! I love Puglia. So many lovely towns and villages plus the seaside of course. I’ve had some really great meals there too! What a gorgeous hotel and I have to admit that I was sold as soon as I read and saw the picture of the golf course! I always love hotels that are either on a golf course property or within close walking distance, given that I am an avid golfer its just a huge plus. 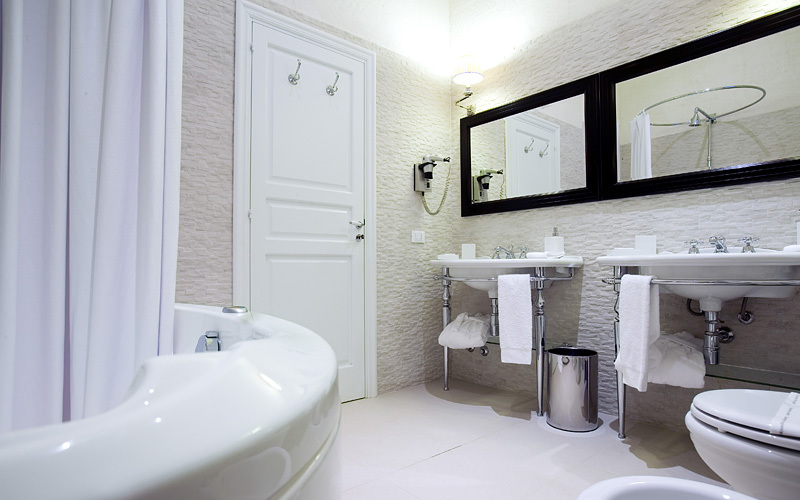 The deluxe room looks so spacious and definitely a very luxurious option for anyone visiting the region! Thanks for sharing this with us, will definitely have to check it out if and when we visit that part of Italy! What a lovely property, I must say I was sold to it, right after I saw the picture of the beach. I haven’t been to Italy yet but this hotel would be my first choice fabulous. Italy is an enchanting country. So many reasons to visit… the food, architecture, wine, the people and of course, the scenery. You really must go when you get the chance.